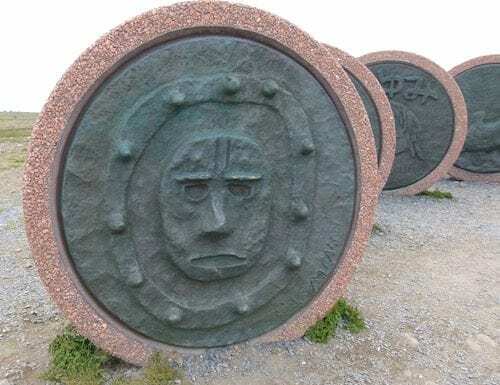 ABOARD THE VIKING SKY – Standing like ancient druids, the round stones mark the hopes and dreams of children from different nations. Erected decades ago, the messages are even more important today. 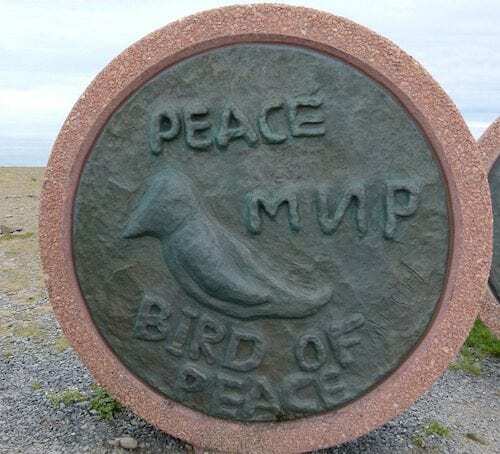 “It was meant to be something positive, something that would stand here to remind the world that we all should be friends and live in peace,” tour guide Brenda said. When the Viking Sky docked in Oslo, Norway, I headed off for the North Cape shore excursion. One of Europe’s most stunning natural sights, Nordkapp or North Cape, rises from the island’s northern coast and offers breathtaking views over the sea from a 1,000-foot plateau. Seems the perfect place for a project suggested in 1987 by well- known Norwegian writer Simon Flem Devold. 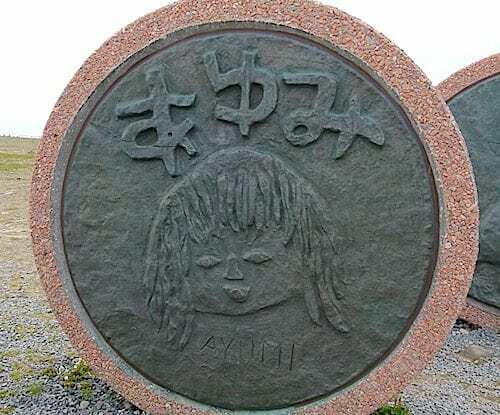 He thought the prominent geographic and historic point of intersection between East and West at North Cape would be a great spot to bring children from different cultures and nations together to let them create lasting messages. In June 1988, seven boys and girls from different countries converged on the cliff to create reliefs of clay with personal messages. They were Jasmine from Dar-es-Salaam in Tanzania, Rafael from Rio de Janeiro in Brazil, Ayumi from Kawasaki in Japan, Sithidej from Bangkok in Thailand, Gloria from Jesi in Italy, Anton from Murmansk in the former Soviet Union and Louise from New York City in America. “From the very beginning, they were called The Children of the Earth,” Brenda said. She added that the children stayed with families in the fishing villa of Skarsvag and spent a week creating self-chosen motifs in clay. “They were all different but they were all beautiful,” Ingrid said. Sithidei chose a “beast of the past.” Anton created a bird of peace. Ayumi modeled a self portrait. Rafael fashioned an image of Christ. Jasmine made an African man. Gloria had wanted to make a cat but ended up with a man with a hat and beard. Louise made a lady with a bow in rain and sunshine. 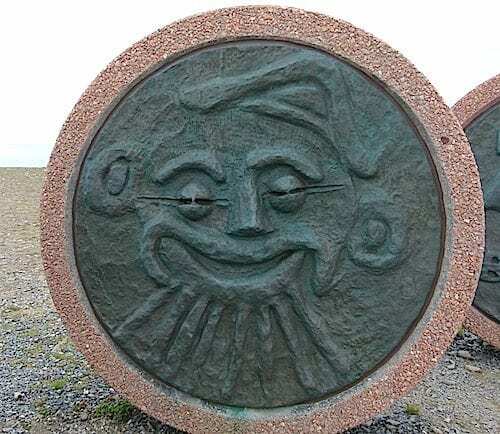 In 1989, the original clay reliefs were cast in bronze, framed in granite and erected permanently on the North Cape plateau. Joining them was a lovely bronze sculpture, “Mother and Child” by artist Eva Rybakken. The statue looks as though the mother and young boy are discussing the plaques. Together, all the pieces form the Children of the Earth Monument. The aim of the project is to show that children can understand each other, work together and have fun together even if they don’t speak the same language or have the same skin color, religion or cultural background. 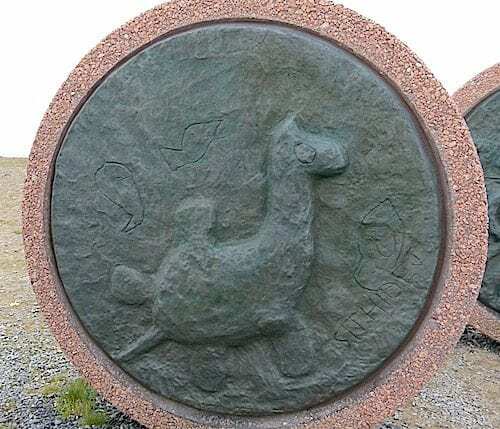 In addition to the monuments, Children of the Earth awards an annual prize to a person, organization or project working to promote the living conditions, qualify of life, rights and health of children. The Children of the Earth Prize is equivalent to $19,000 in U.S. currency. Gloria’s man with a hat and beard. Since 1989, the Children of the Earth Prize has been awarded to a total of 27 people – 20 women and seven men – and seven organizations. The prize has been given to nine projects in Africa, seven in Europe, four in Asia, four in Central America/the Caribbean, three in South America, three in the Middle East and one in Norway. For 2018, the prize was awarded in June to the Norweagain-Phillipne Sea and Sun Ministries International Foundation for its work with poor children in the Philippines. Along with local helpers, the foundation works to improve young people’s health and quality of life, give them education, social safety and a way out of poverty. 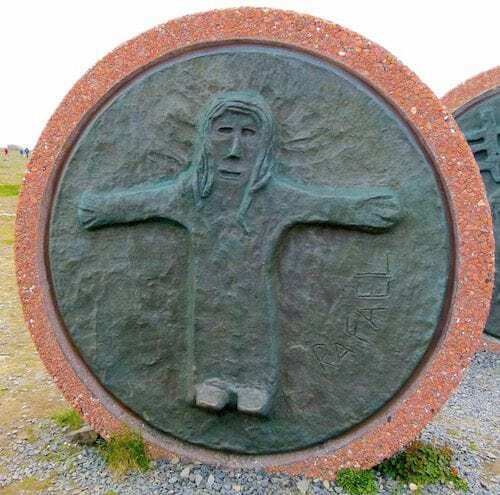 The award is presented every June at the Children of the World Monument at the northernmost point of the European continent. Brenda didn’t know the answer but I wondered if those seven children ever come to visit what they helped create. By now, they could have children of their own. I wonder if they feel as though their messages resonated with world leaders and if the world today is better than it was when they were children and participated in the project that encourages peace and togetherness around the world.